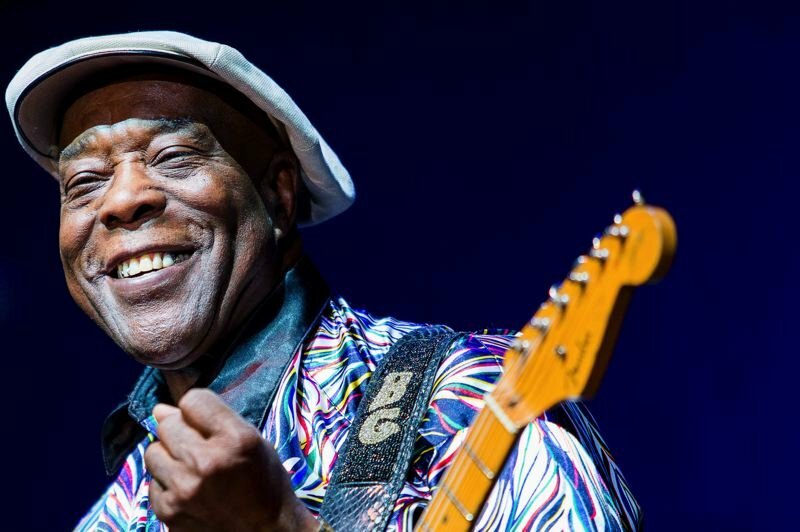 The Soul'd Out Music Festival turns 10 and turns back the clock with the legendary Buddy Guy as the headliner. "We're pretty excited for the fact that we made it a full decade," says Nicholas Harris, co-owner/co-founder of Soul'd Out Productions. "(Guy) was the headliner for the first year. So, it's a little bit of a retrospective, a look back at the greats over the years and next wave of incredible talent." The Soul'd Out Music Festival, April 16-21, boasts a stellar lineup at venues around the city. Guy has performed at the Waterfront Blues Festival as well. He has a new album, "The Blues Is Alive and Well," his 18th solo LP and first since 2015's "Born To Play Guitar." "There's not too many opportunities to see a living legend," Harris says of the 82-year-old Guy, who performs at 7 p.m. Wednesday, April 17, at the Roseland Theater, 8 N.W. Sixth Ave. Portland icon Curtis Salgado performs in support of Guy. Tower of Power celebrated its 50th year together last year, and they'll finally attend Soul'd Out and take the Roseland stage at 7 p.m. Tuesday, April 16. "It's an act we've tried to get for 10 years, and we finally got them," Harris says. "Even though they've been around for five decades, they're very much in demand and tour nonstop. They just got done with a tour in Australia. The timing worked out well this time." Hip hop royalty Eric B. and Rakim are performing together at Soul'd Out; it's the first time they'll be on stage together in Portland, Harris says. They'll play Roseland at 8 p.m. Thursday, April 18. "They're considered by many to be the first legendary hip-hop group to come out of New York," Harris says. "This one's for old-school hip-hop heads. It doesn't get much bigger than this." The Sugarhill Gang brought us "Rapper's Delight" in 1979, and the rap pioneers continue to entertain around the world. They'll play at 8 p.m. Friday, April 19, at Dante's, 350 W. Burnside St.
Roy Ayers and Bobby Caldwell are also old-school acts performing at Soul'd Out. They'll both be at Roseland, 8 p.m. Saturday, April 20. Caldwell hasn't been to Portland in 35 years, Harris says; Ayers has been here once in 30 years. "They are the type of legacy acts we try to get every year," Harris says. The festival also includes Ukrainian band DakhaBrakha (7 p.m. Sunday, April 21, Crystal Ballroom, 1332 W. Burnside St.). It'll be symmetry at its best when Ghost-Note and members of Prince's New Power Generation pay tribute to the late Prince at 9 p.m. Sunday, April 21, at Star Theater, 13 N.W. Sixth Ave. Soul'd Out had the good fortune of welcoming Prince for a show April 21, 2015, and then Prince died on the same day the next year. Soul'Out put on a Prince tribute on April 21, 2017 and will do it again this year. Among the featured new artists is Masego, 8 p.m. Tuesday, April 16, at Revolution Hall, 1300 S.E. 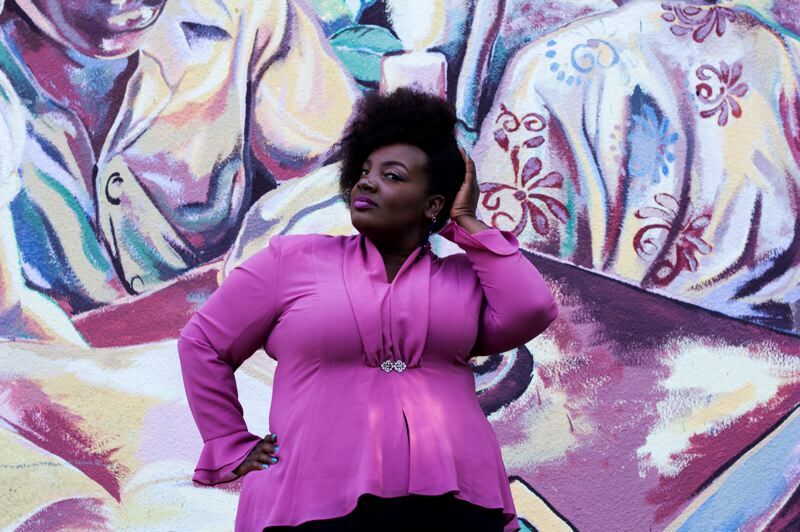 Stark St.
• Saeeda Wright and her "A Tribute to Aretha Franklin," 8 p.m. Wednesday, April 17, at the Doug Fir Lounge, 830 E. Burnside St.
• Mel Brown, 7 p.m. Thursday, April 18, Jack London Revue, 529 S.W. Fourth Ave. There are tickets remaining to most events. See www.souldoutfestival.com. "I'm happy about the lineup," Harris says. "We certainly wouldn't be able to do it without our team. It's a labor of love certainly. We think it's critical this music has a platform in the Pacific Northwest. The (soul) community here feels empowered that they have a seat at the table, and people are working on their behalf and supporting their music and culture." In fact, a legal fight continues. Last spring, Soul'd Out filed a lawsuit against the Coachella Valley Music and Arts Festival for monopolistic practices. Harris says Coachella controls which musical acts can play other festivals in close proximity and timing, and it's not right. Coachella takes place April 12-21 at Indio, California. "It's currently in the courts, still unresolved," Harris says. "A judge did throw out a couple federal statutes we raised, but there are still some state statutes we're addressing. It's just in the morass of a long, legal battle. "It's absurd that somebody in Los Angeles can decide who plays a festival in Portland, Oregon," he adds.